This award-winning documentary follows the internationally renowned river conservationist Mark Angelo on a journey that uncovers the dark side of the fashion industry. The film crews travelled the world, speaking with fashion designers and water protectors, in order to find out how our clothing is made. This groundbreaking documentary examines the destruction of our rivers, its effect on humanity, and the solutions that offer hope for a sustainable future. 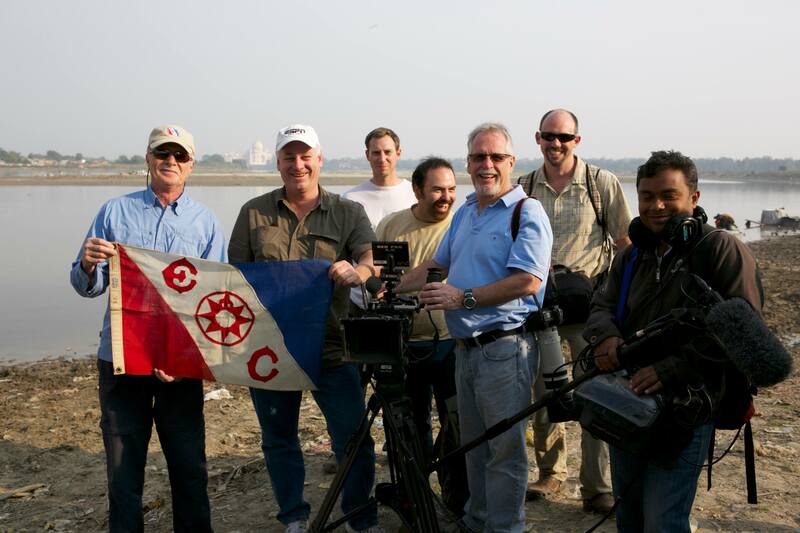 RiverBlue is a global expedition that received the Flag Award from the US based Explorers Club. This was in recognition of the film’s attempt to break new ground from an exploration, scientific and public awareness perspective. Shot in 5K with images that are both stunning and shocking, RiverBlue is not only a rallying call to our top fashion brands to change the way our clothes are made, but also a showcase for the people and organisations that are trying to change the fashion industry through ethical and sustainable innovation. 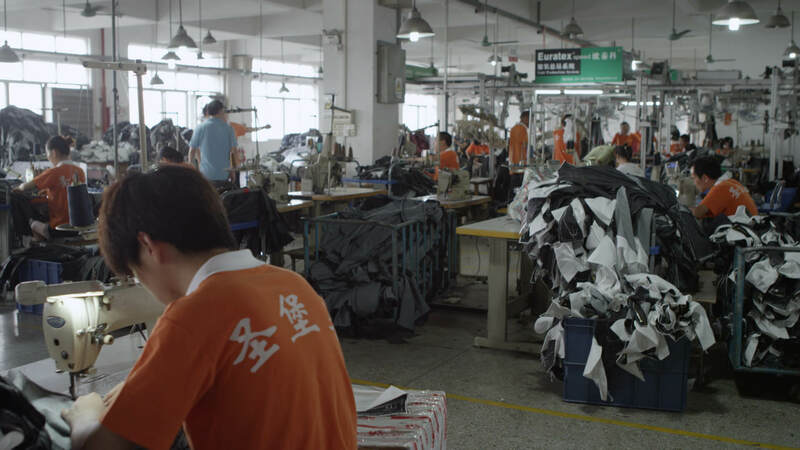 The screening will be followed by a Q&A with two of the documentary’s key characters: Orsola De Castro, founder of Fashion Revolution, and Luigi Caccia, founder of ItalDenim. Luigi Caccia is the founder with his sister Ilaria of PureDenim, a rib of Italdenim, company specialized in the production of sustainable Denim. , Caccia has been involved in denim world since he was a child. In the last 10 years he has made the revolution of the denim process. Looking for new technologies and natural polymers, in addition to constantly studying new technologies through various businesses, PureDenim has successfully reduced the amount of chemicals and water in the process of making jeans. PureDenim continually seeks to find new opportunities for one of the highest polluting processes in the textile industry. 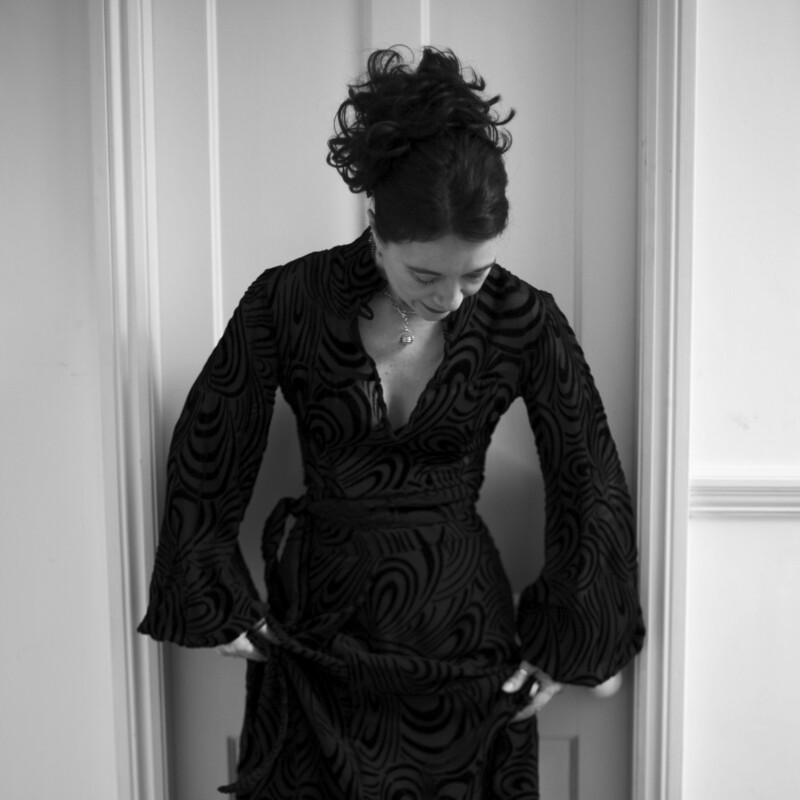 Orsola De Castro is both a pioneer and an internationally recognised opinion leader in sustainable fashion. She founded the upcycling label “From Somewhere” in 1997 and the initiative “Estethica” in 2006. In 2013 she founded Fashion Revolution, which endeavours to raise public awareness of the continuing social and environmental catastrophes in our global fashion supply chains. 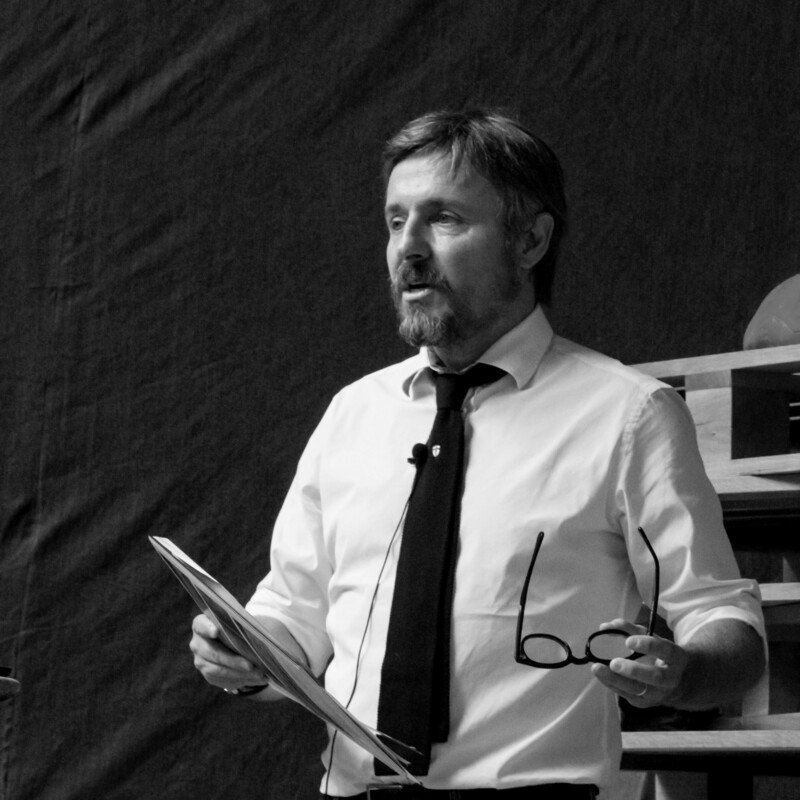 De Castro is a regular key note speaker, educator and mentor, as well as an Associate Lecturer at UAL (University of the Arts London) and a Visiting Fellow at Central Saint Martins. 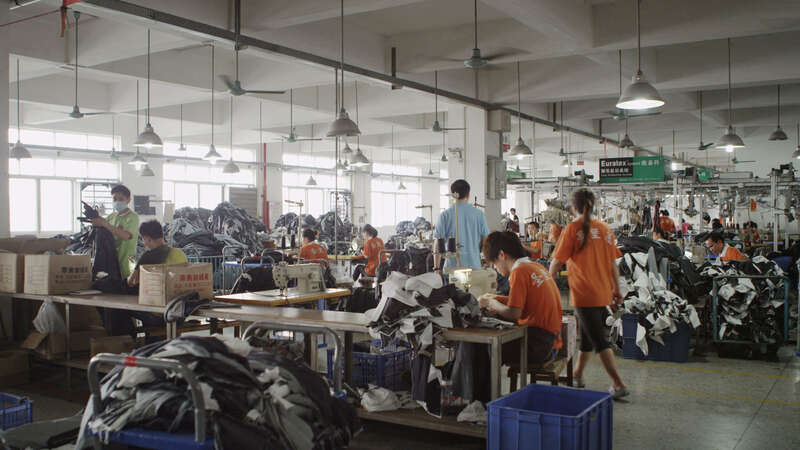 Still from Riverblue, Jeans Factory, China. Still from Riverblue, Jeans Spraying. Still form Riverblue, Chinese Textile Factory. 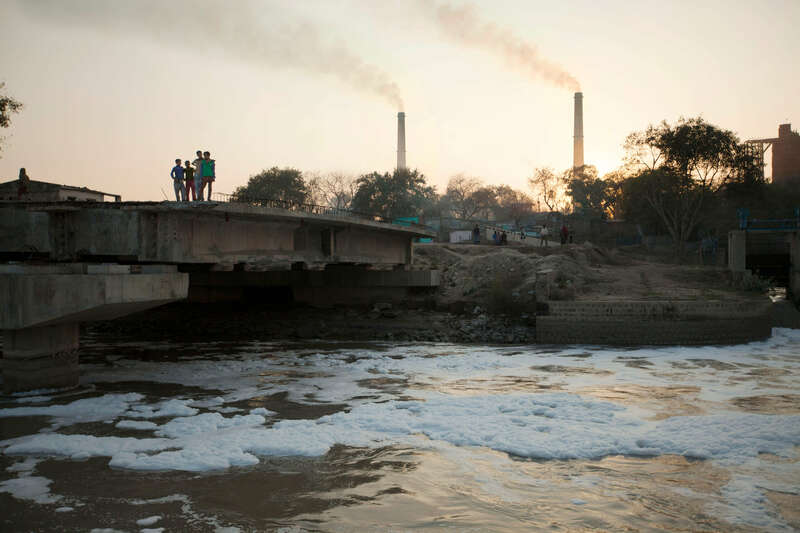 Still from Riverblue, Smoke Stacks. 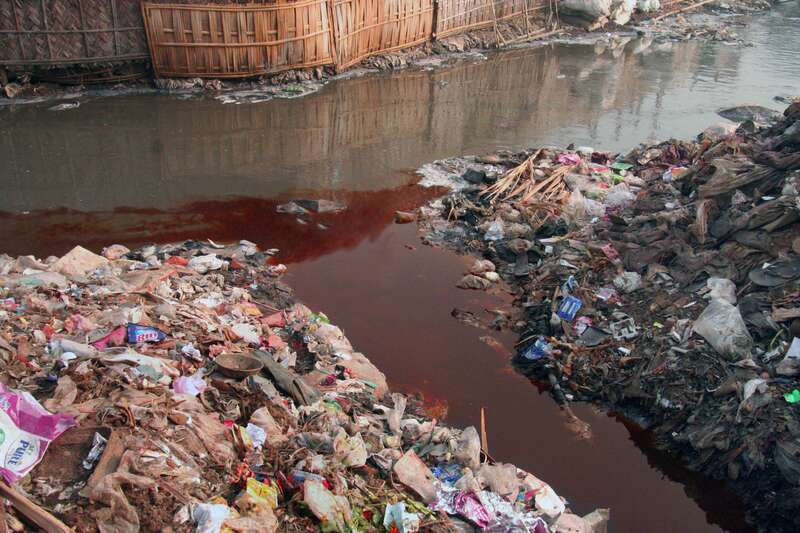 Still from Riverblue, Hazaribagh Tannery.